Pepe Plumbing and Heating offers a full range of service of Plumbing, Heating, Air Conditioning and Commercial Services. We are committed to offer excellent service and guaranteed satisfaction to our customers. Have been in business for over 60 years. We’re one of the most reliable Plumbing and Heating service in the area. Pepe Plumbing Heating’s working owners, take an active part in the daily operations of our company, When you inquire about an estimate either for Plumbing or heating service, you will receive a professionally prepared proposal. View our Service Agreement page. Our services include: Plumbing, Heating, Cooling, Maintenance Programs. Pepe Plumbing has won the best plumber in Bergen County by Bergen Life and Health Magazine. 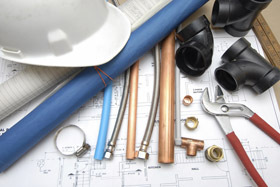 We offer a full range of plumbing services for all your needs. Our skilled plumbing technicians are trained to provide quality service along with superior customer service on every job. We are a full service boiler/burner installation and repair company specializing in gas conversions, oil burners and combination dual fuel equipment. Pepe Plumbing has established a long and successful history of providing clients with first-class maintenance and heating and cooling services. © 2016 Pepe Plumbing Inc.